After a glorious 14 weeks, this past Sunday we reluctantly said goodbye to Colorado. This was our second summer spending a significant amount of time in Colorado, and there is no doubt that we will be back. 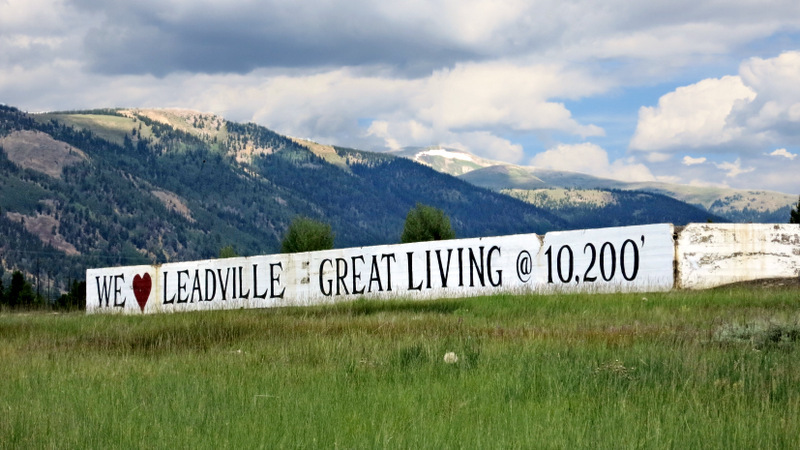 There’s just something about those grand mountains, lush fields of wildflowers, historic mining towns, and endless opportunities for our favorite outdoor activities, that will ensure we return again and again. This is the longest continuous amount of time that we have spent in one state (Colorado beat New Mexico by one week), and for that reason it clearly deserves it’s very own wrap up post. 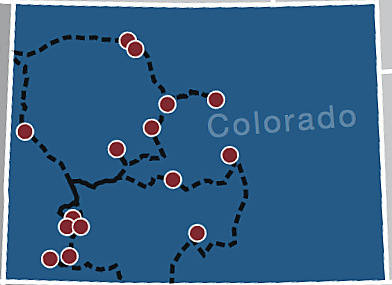 The route we took through Colorado looks a bit strange on a map. As you can see we circled around a few times while completely overlooking the flat eastern side of the state. For us Colorado is all about those mountains! By no means did we hit every spot that we eventually want to explore in Colorado, but that’s okay because it leaves some new places for the next time around. 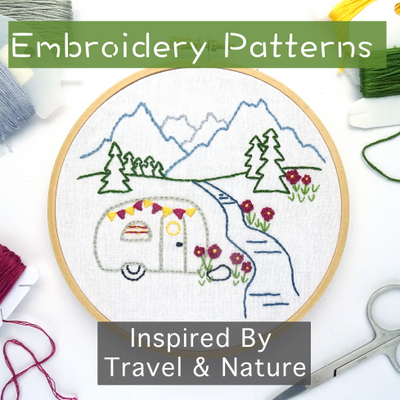 Colorado is an extremely popular camping destination. That means if you want to stay at the public parks during the busy season you better make a reservation well in advance, and if you want to stay at private parks get ready to shell out the big bucks. We planned a loose route through the state, making some reservations ahead of time, fitting in as much boodocking as possible, and sprinkling in a few stays at private parks when other options failed. Overall, it ended up begin a great mix of public and private, free and not so free. Yes, Colorado can be a bit pricey! Compared to some of the other states we’ve traveled around, Colorado is on the expensive side, but we did well with an average per night fee around $15. That a bit more than our all time per night average, but we feel it was money well spent for all the amazing places we got to visit. 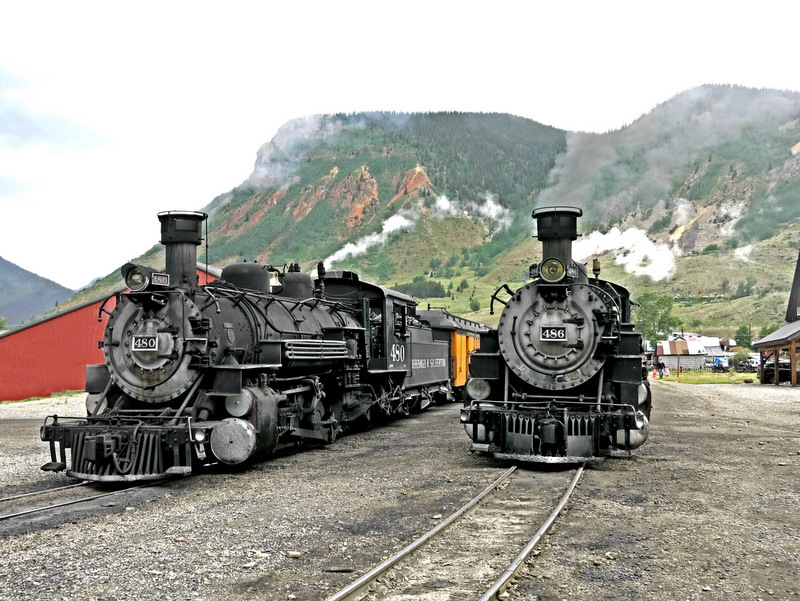 We started our tour through Colorado in Durango where we spent a total of three weeks. The first two at one of our very favorite boondocking spots roughly 17 miles west of town, and the last week at a small private park to the north of town. A few highlights of our stay were the two nights when we were joined by Tiffany and Deke, an amazing hike up to Engineer Mountain, and the Durango 4th of July celebration including a parade, fireworks, and a bonus free Brett Dennen concert at a small local bar. We intended to boondock in Silverton, but the one spot with usable Internet was way too crowded for us to even consider staying there. Instead, we ended up in the overflow/dry camping section of one of the private parks in town. It turned out to be an excellent place to stay within walking and biking distance of town. The highlights were a visit with fellow travelers Susan and Brian, a drive up to the Animas Forks Ghost Town, and a trip through the very cool San Juan Historical Society Museum. This was a repeat visit for us. 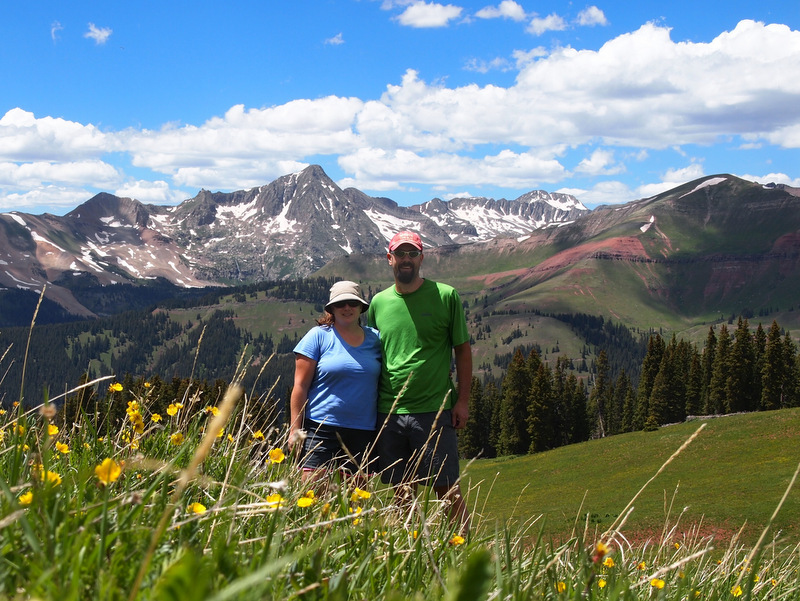 We enjoyed Crested Butte so much the first time around that we decided to come back for more. This year we spent a full two weeks boondocking in the national forest a few miles north of town. We somehow managed to time our visit just right for the peak wildflower season. 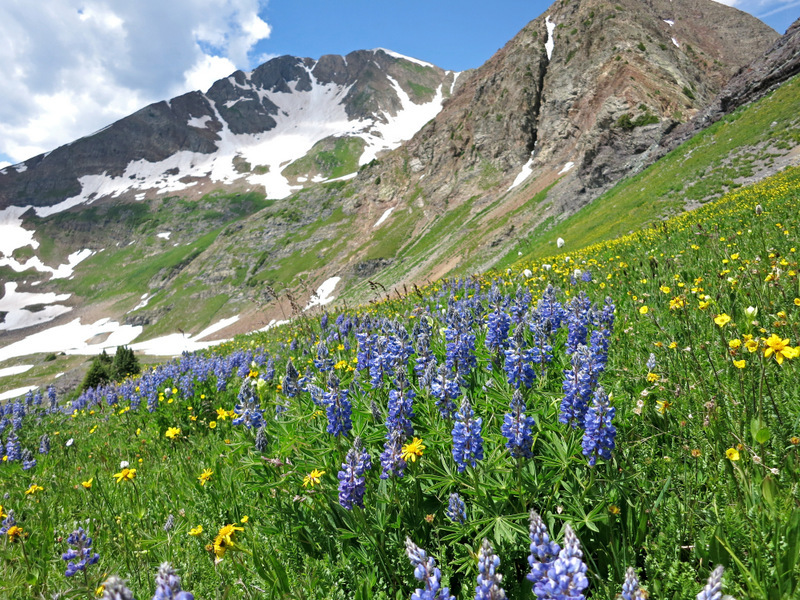 Highlights include a few hikes into the mountains where we waded through waist tall wildflowers, one hike high up to a ridge with a view for miles, and downtown Crested Butte where we enjoyed free outdoor music, brick oven pizza, and yummy homemade ice cream. Another repeat visit for us. Except this time around we didn’t bother with a campground and instead chose to boondock in the forest with a view of Mt. Massive. It was rainy and fairly chilly for most of the week, but we still enjoyed our visit. We met up with fellow full-timers Sam & Tracy for a fun tie-dye party, attended the Boom Days celebration, and took a challenging bike ride on the Mineral Belt Trail. Yet another repeat visit from the year before, and this time we stayed in the exact same campground on the shores of Dillon Reservoir. While there we enjoyed several bike rides around the campground and through town, a lovely dinner out in Brekenridge for our anniversary, and an afternoon of sailing with a local soon-to-be nomad. We planned to avoid the front range altogether on this trip through Colorado. 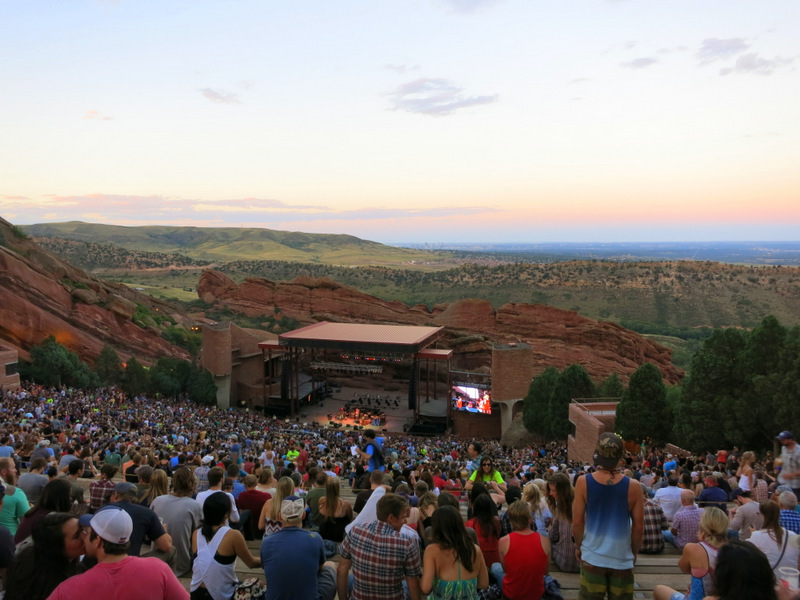 We like Colorado for the mountains and hiking, not for the cities and heat…BUT, when we found out one of our favorite bands, The Devil Makes Three was playing at Red Rocks we had to make an exception. We ended up staying on the outskirts of the city at a very nice county run park only minutes from Red Rocks. The concert and venue were just as amazing as we expected, and as a bonus, we also got to spend time with fellow travelers Nealys on Wheels, Live Laugh RV, and Live, Breathe, Move. 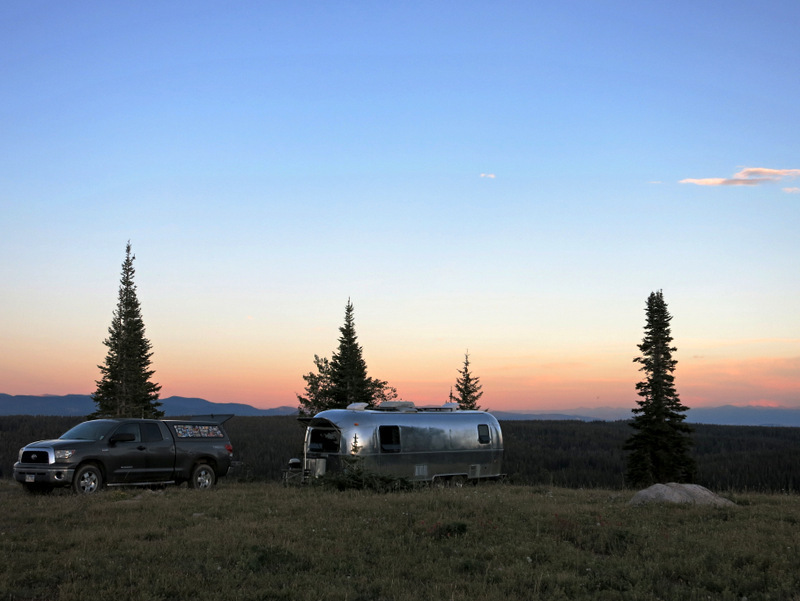 Our goal was to explore as much of the state as possible, and since Steamboat Springs is way up in the Northwest corner, it only made sense to head that way. We spent our week boondocking high up in Rabbit Ear’s Pass to the east of town. It was another cool, rainy week so we didn’t get out to do any hiking, and never made it up to Steamboat Lake for exploring either. The best part of the week was our location, which was totally private and beautiful, and provided a nice change from our previous hectic week near the big city. 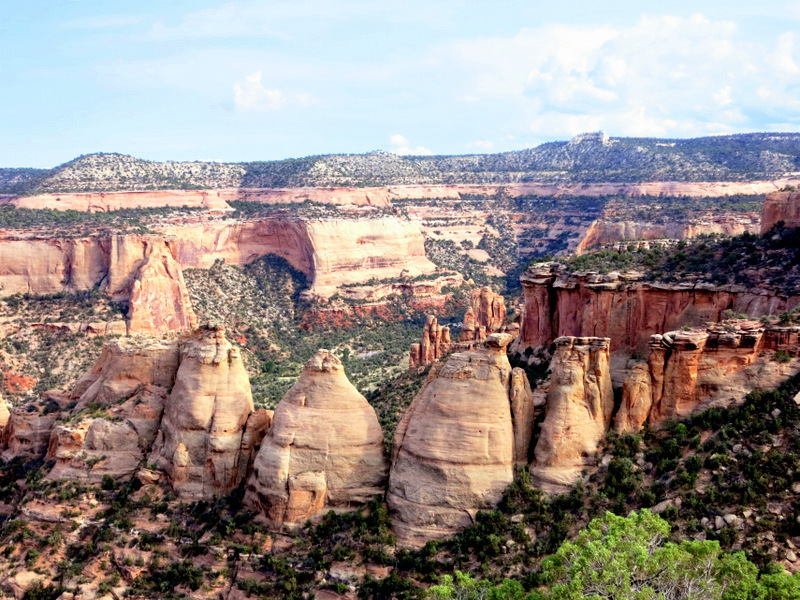 The main reason we went to Grand Junction was to see the Colorado National Monument. We stayed only a few miles from the monument at a really, really nice state park and got to visit the monument a few different times throughout the week. Aside from the cool rocks and canyons at the monument, the highlight of our stay was meeting Todd & Russ who were staying at the same campground. We got together with them a few times and even took a group hike the day before we left. 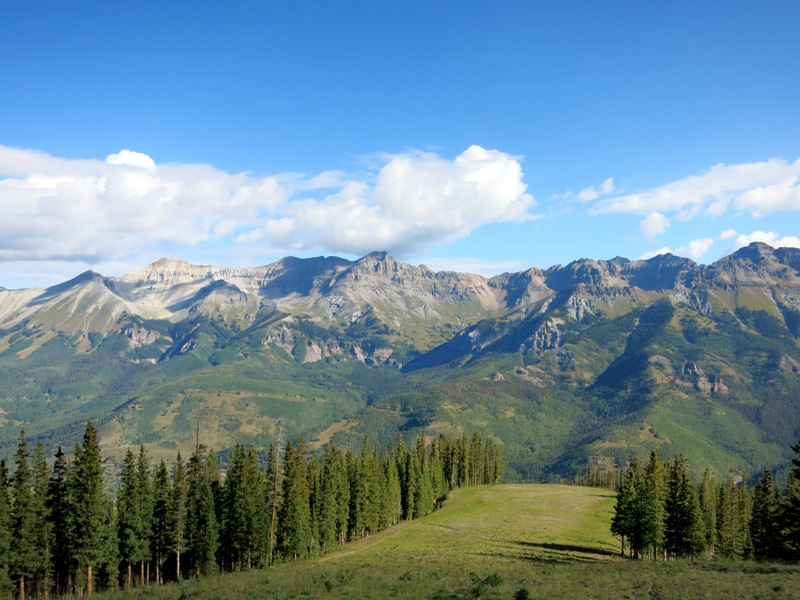 We spent a week at the Town Park in Telluride. Somehow we got lucky and scored a really nice large site with views in this rather small, otherwise cramped campground. The location can’t be beat, and we managed to not use the truck at all during the week and instead walked or biked everywhere. The very best part of the week was the hike we did on the See Forever Trail. This was a totally unplanned stop, and probably the least exciting of all the places we’ve been in Colorado. After our failed attempt to stay in Salida, and with the prediction of some impending cold weather, we decided to head down to a lower elevation for the week. We stayed at a small private park right in town. The location was good and the park was okay, with its most redeeming feature being the nice bike path that ran alongside the back of the park. 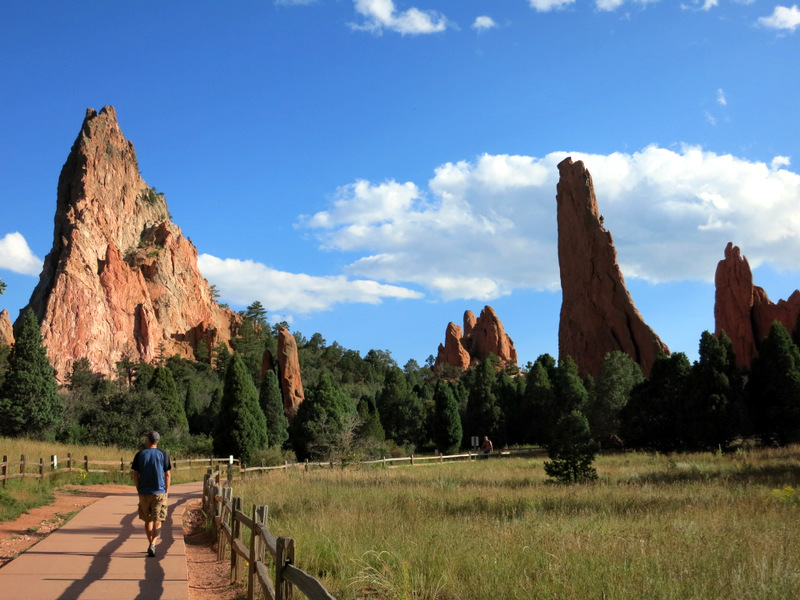 We didn’t do the most popular activity in town – a drive up Pikes Peak, but we did make it over to the Garden of the Gods and took a nice hike in the nearby Red Rocks Rec Area. 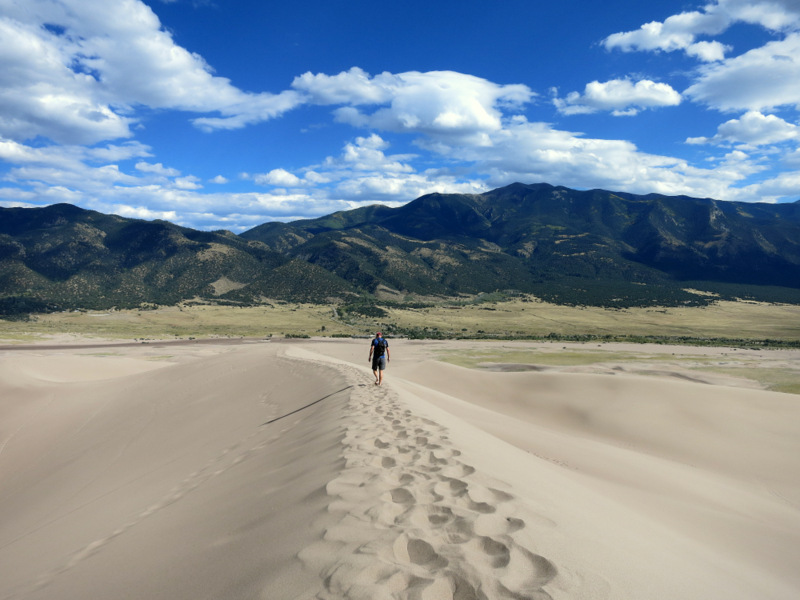 For our last stop in Colorado, we spent the week at the Great Sand Dunes. Who knew Colorado had a giant area filled with mounds of deep sand tucked up against towering mountains? It was an excellent choice for our final week with perfect weather, endless hiking, and a really nice campground with views of the dunes outside our front door. We say goodbye to Colorado and head south and east for the next year, knowing that we will most certainly be back someday for another summer in the mountains. You’re right, it can’t be any more expensive than FL, but compared to the states we spent a lot of time in before CO (NM & AZ) it was a bit more pricey. Totally worth it though! 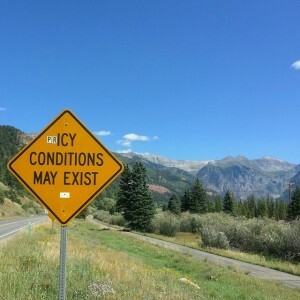 Great summary of your time in Colorado. What an amazing summer and beautiful places! Thanks for sharing. 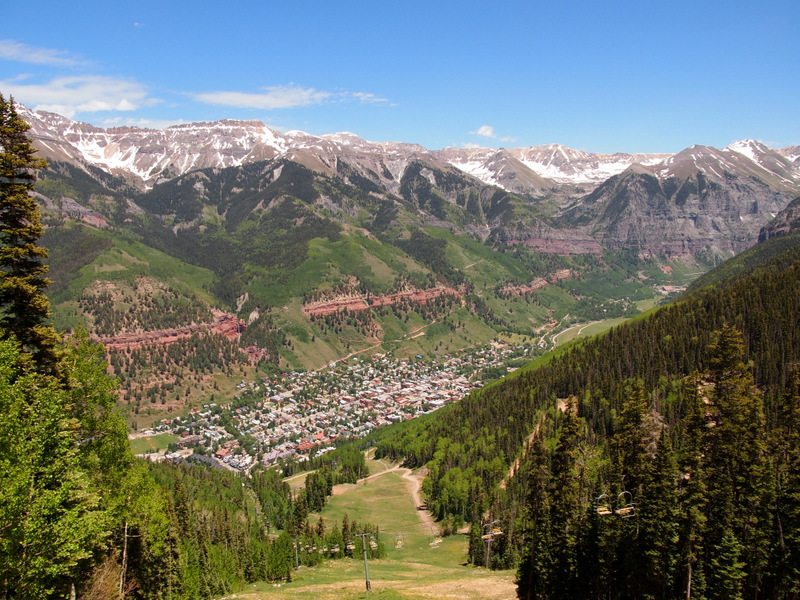 We LOVE Colorado – Rocky Mountain High! 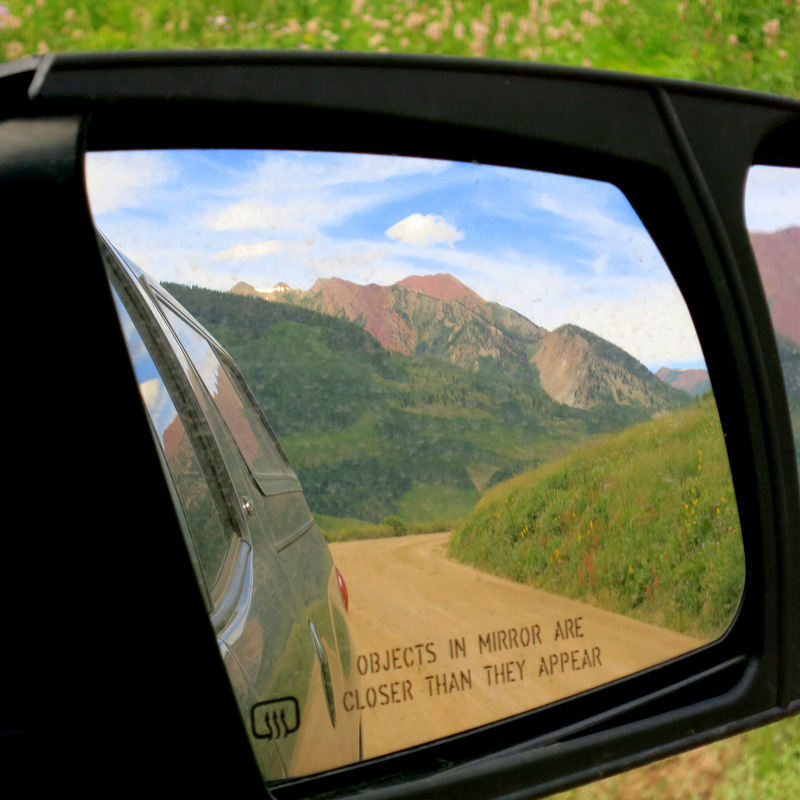 What an AMAZING summer you’ve had — four months in Colorado, with so many diverse experiences! Your photos are gorgeous. We’ve not spent a lot of time in Colorado (other than the southwest corner Mancos/Durango/Pagosa Springs) but it has always called to us. 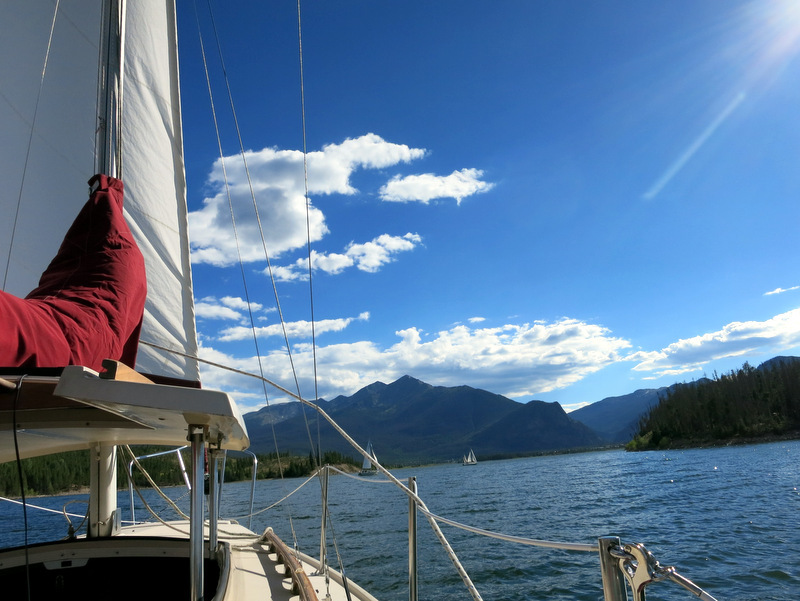 We just need to pry ourselves away from summers in the Pacific Northwest…..
You definitely need to make it back to CO. While the southwest corner is nice, it really doesn’t even compare to some of the areas in the middle of the state where the BIG mountains live! I have a newbie question: when you boondock in a beautiful but remote spot, do you leave your trailer there when you visit a town or point of interest? I was thinking of buying a hitch lock. We do leave the trailer behind. It would simply be too much of a hassle to hitch up and drag it to town every time we wanted to go out to eat or on a hike (not to mention a nightmare to find parking). We have a Hensley Hitch which means to hook-up to our AS you need to have a square receiving end on your truck, so we don’t really worry about someone taking the trailer. If you have a regular hitch with a ball receiver I think it would be a good idea to have a lock. We do put away anything outside of value as not to tempt would be thieves (such as our grill). We also stow all electronics out of site and sometimes close the curtains. Of course, if someone really wants to get in we couldn’t stop them, but after more than 2 years of travel and countless boondocking spots we have never had a problem. Thanks Amanda for the advice. I guess I’ll have to get used to leaving our new home on wheels alone at times. Love reading your blog..Colorado is beautiful and fun. Need a little AS exterior help..we have polished the end caps and removed the letters that were in bad shape..notice your AS logo is different..is it painted on? Love to find a less expensive way to put it back..thanks for any help. Thanks Kat! We do love Colorado. Our AS logo is a sticker. We replaced the original ones with some that we got through the website Out-of-Doors Mart. They are exactly the same as the original. Really easy to put on, and so far have had no problems with peeling. Thank you sooo much..have fun at the BalloonFest..I am at Amazon..jealous! What a great overview! I’m planning for next summer and I have a feeling that we’re going to retrace you guys footsteps. Thank you for making my planning so easy :-) Happy Halloweenie!